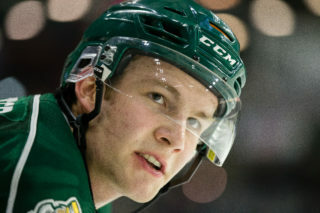 In a thrilling game five of the first-round playoff series, the Everett Silvertips finally got rid of a playoff nuisance: they eliminated the rival Seattle Thunderbirds for the first time in franchise history. Shutting out Seattle 4-0, Carter Hart led the Tips to the hard-fought victory against their biggest rival to claim the series. As they went 6-4 vs Seattle in the regular season with the first eight games being a pattern of back and forth wins between the two teams, the tight playoff matchup led to a hurricane of ups an downs for both teams throughout the five games series. 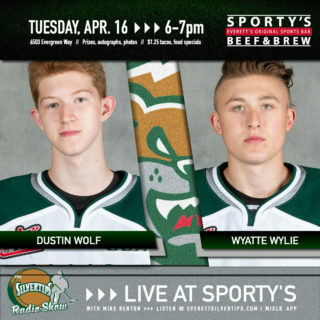 The Silvertips faced Seattle in the playoffs for the fourth time in five seasons, aiming to get over a hurdle which tripped them up in either the first or second round each previous series. 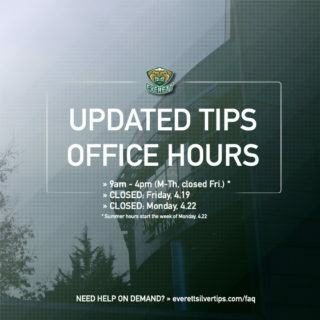 In 2013-14, the Tips went out in five games. Two years later, they exited in the second round in five games. Then in 2016-17, it was another quick exit. This time around, the Tips had all the tools to turn the narrative completely on its head. The first round of the 2018 playoffs began with a 4-1 home victory – in seemingly easy fashion – for Everett, only to fuel the Thunderbirds through a 5-4 OT win the next evening. Answering with a 3-1 game three victory in Kent, after the Tips weathered 24 shots by the Thunderbirds in the first period, the Sivertips embarked on their closure of the series. 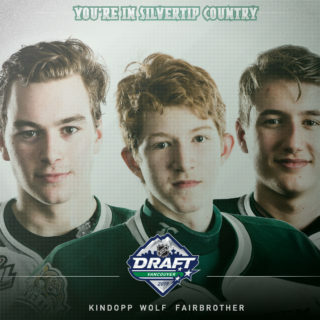 In a massive 7-3 game four win led by Carter Hart and Connor Dewar (1g, 2a), the Silvertips captured their second-straight win of the series and in Kent. 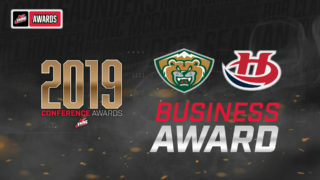 Hart put a nail in the series coffin with a shut out victory at home to capture the first round and eliminate Seattle for the first time in Everett Silvertips history. He had 36 saves in 60 minute as his team put up ten points to end the series. All that was left: to put rivalry emotions aside and assemble at center ice for a genuine and mutual sign of respect, player by player and coach by coach through the handshake line. Then, onto one last salute before a boisterous and swelling crowd at AOTW Arena.